The June 2017 issue of BCI's Regulatory and Legislative Update compiled by David Weinberg and his team at Wiley Rein, LLP is now available. In an effort to keep all members up to date and informed on the current regulatory and legislative issues of the lead battery industry, BCI is expanding the distribution of this update to include all employees at BCI member companies. Monthly issues are distributed to members by email. Past Wiley Rein issues may be found in the For Members section of the BCI website. If you are a member of BCI or an employee at a BCI member company and did not receive this update in your inbox, please contact BCI Headquarters at (312) 245-1074 or info@batterycouncil.org. BCI provides a comprehensive set of battery data through the annual Battery Replacement Data Book. Source BCI, the digital version of the Data Book, includes over 75 years of data for more than 160,000 vehicles. It's easier than ever to search for the battery you need. Filter by vehicle category and find the BCI group number, OEM rating information and more all in one convenient location. You can also find information on powersports numbers, BCI/DIN/EN reference and BCI/JIL reference. To purchase a subscription code or hard copy Data Book, visit the BCI Store. Need some help using Source BCI? BCI has created a series of "How To" videos to help you easily browse Source BCI. View the videos below and start accessing the data you need. The "New Source BCI User" video is designed to simplify account setup and data browsing. If you already have an account and cannot log in due to an expired subscription code, review the "Current User" video. If you forgot your username or password and are unable to gain access into your account, reference the "Forgot Your Username or Password?" video. CHICAGO, IL, USA - What would the world look like without lead batteries? Today, February 18 is National Battery Day, and to increase awareness on lead batteries, Battery Council International (BCI) has released a video featuring the recycling of a lead battery's primary components: lead, plastic and acid. According to figures provided in an Environmental Protection Agency (EPA) report, 99% of lead batteries are recycled, making them the most recycled consumer good in the United States. The new BCI video details the process a used battery undergoes once it is returned to the retailer. "The lead, plastic and acid are isolated from one another at an EPA regulated facility, and through a multi-step recycling process, these components become new lead batteries. This unique process allows consumers to purchase a product that is both economically and environmentally favorable," says Mark Thorsby, Executive Vice President of BCI. Lead batteries serve many purposes. The most well-known purpose is to start vehicles such as automobiles, trucks, lawn and garden equipment, snow and water sport vehicles, motorcycles and golf carts. But, lead batteries also make possible the "start-stop" vehicle control systems that are helping vehicle manufacturers meet Corporate Average Fuel Economy (CAFE) standards and reduce air emissions. Additionally, lead batteries play a crucial role in supplying backup power for cell phone towers, hospitals and data storage servers. While lead batteries are over 150 years old, their ability to be efficiently recycled into the same, useful product has cemented their place in the energy storage world. To view the lead battery recycling video, visit www.batterycouncil.org/recycling. 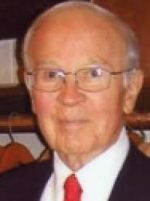 John W. Wirtz, the man who took his father’s small family engineering business and turned it into an international battery machine manufacturing firm, died on December 3. He was 91 years old. He was a well known, well liked and entrepreneurial businessman with a fine grasp of technical detail — including numerous patents to his name — and known for his personal generosity to those pushing out the boundaries of battery technology. He started at Wirtz Manufacturing part-time during his vacations while at high school in the early 1940s. He worked as a machinist and as a result learnt and understood from the ground up what the machines did and why — this tradition of an early start at the ground floor of the business has continued for his son and later through his son to his grandchildren. He was eventually to become president and owner of Wirtz Manufacturing. After graduating from high school in 1943, he served in the US Navy until 1946 before attending the University of Michigan, where he graduated in business studies in 1949. The combination of technical and engineering understanding and a knowledge of business proved a powerful one and through the 1950s and 1960s he criss-crossed North America as an ambassador for the firm. Submissions are now open for the Sally Breidegam Miksiewicz Innovation Award. Click the video to learn more. Questions? Email info@batterycouncil.org with any inquiries. Willowbrook, IL, November 1, 2016 – Midtronics, Inc. today introduced the MCC-070 Controlled Charger -- the first product entry in the new MCC charging platform. The MCC-070 offers safe controlled charging to quickly service different battery types (regular lead-acid, AGM, EFB, Li-ion), app-driven charging routines, and wireless connectivity to support tracking and management of battery service data and automated software updates. A key application for the MCC-070 is Vehicle Delivery Quality (VDQ) for OEM dealerships. VDQ ensures that vehicle batteries are monitored and maintained from the point new vehicles are received from the factory, while in dealership lot inventory, and prior to customer delivery. This process is important because batteries that sit idle for long periods degrade over time, and batteries left in a degraded state eventually deteriorate to the point of permanent damage. Damaged batteries may refuse to start for test drives or fail shortly after the customer takes their new car home, resulting in negative customer experiences and increased battery replacement warranty costs. The MCC charging platform integrates seamlessly with other compatible Midtronics battery service equipment and the cloud-based Midtronics Battery Management Information System (BMIS) via the MX GatewayTM to support advanced battery management solutions for OEM dealership shops and aftermarket retail service garages. The MCC-070 is also functional as a standalone product. The MCC includes several features designed to promote an optimal user experience, including apps-based charging designed to help users get more consistent results and a streamlined user interface that helps make the MCC-070 easy to learn and use with minimal training. Vehicle information can be shared through BMIS to the MCC from battery testing completed on Midtronics devices, including the CVG-3 Convergence Module, to help define accurate charging data (voltage Ah, current, etc. ), reduce user error, improve charging speed, and provide service tracking abilities. Charging session data is then stored in BMIS for reference for future battery service events. “All new Midtronics products under development share common user interface architecture and integrate with each other and the cloud to promote seamless battery service solutions,” said Losinski. “Connected equipment allows technicians to share information between tools, maintain detailed vehicle service records, and keep equipment current with the latest algorithms as new battery chemistries and technologies emerge." Midtronics is a worldwide leader and provider of vehicle battery testing and management products and services. Founded in 1984, Midtronics remains singularly focused on battery management innovation. The company continues advancing the standard in its industry, supplying customers with custom battery management solutions that meet evolving needs, including those related to hybrid, electric and other new vehicle systems. Visit http://www.midtronics.com/transportation for more information. Willowbrook, IL, October 7, 2016 – Crain’s Chicago Business has released its annual “Eureka Index” with Midtronics, Inc. topping the list as the Chicago area’s most innovative company. Midtronics also landed the #1 spot in 2014 and has been in the top 5 on the list four times (and in the top 10 every year) since Crain's began its annual "most innovative companies" feature in 2012. The rankings are based on an exclusive analysis of patents by Ocean Tomo, LLC, a Chicago-based merchant bank that specializes in evaluating intellectual property. Midtronics had Chicago’s highest-rated portfolio of patents granted in 2015, based on key criteria including uniqueness of the patented ideas and likelihood of investment to develop and maintain them. The Midtronics ranking was based largely on the strength of U.S. Patent 8,958,998 -- one of a suite of patents covering technology Midtronics incorporated in the design of a battery management network connecting its automotive battery testers and chargers to a dedicated cloud-based information and analytics platform. This network allows dealerships and auto service shops to easily monitor and update their battery service tools and manage battery testing, service, replacement, and warranty programs. It also enables enterprise-wide information management for automotive OEMs and service chains. Midtronics was founded in 1984 and has divisions focused on transportation and stationary battery solutions. It counts among its customers most global vehicle manufacturers, battery manufacturers, telecommunications, and power generating companies. The company’s worldwide employees – nearly a third of which are engineers -- work out of headquarters facilities in the U.S. (Willowbrook, IL), Netherlands (Houten), and China (Shenzen). With less than three weeks to the 2016 Environmental, Health and Safety Conference reserve your spot and join us October 24-25 in Baltimore, MD. Take part in presentations and interactive breakout sessions focusing on workplace practices, human resource policies, equipment design, reducing employee blood levels and more! Valletta, Malta (12 September, 2016) – Innovation in lead batteries is continuing rapidly as the industry adapts to changing energy storage markets, said Andy Bush, managing director of the International Lead Association (ILA). Dr Andy Bush spoke today on the eve of the 15th European Lead Battery Conference (13-16 September), in Valletta, Malta, where 700 delegates from 50 countries have gathered to discuss the latest technical innovations in lead batteries for use in applications ranging from micro and mild hybrid vehicles to renewable energy storage and motive and traction power. East Penn Manufacturing and RSR – Have announced a new collaboration with the U.S. Department of Energy’s Argonne National Laboratory to use Argonne’s state-of-the-art analytic technologies to accelerate research on lead batteries. Ecoult – The Australian company has developed an UltraBattery®-based 20 kW UltraFlex system for off-grid and dual-purpose applications (incorporating renewable self-consumption, diesel cycling and UPS) and has already achieved consistent fuel savings for its off-grid clients in the order of 50% or more. Exide Technologies – The European company announced the launch of its next-generation maintenance-free TENSOR xGEL lead traction batteries, which exhibit high-power, increased energy efficiency and the ability for rapid recharge. Johnson Controls - Recently announced an investment of $445 million to boost production of its absorbent glass mat (AGM) batteries worldwide. The investment includes $245 million to double AGM output in North America by the year 2020 and $200 million to build a new battery plant in China. Moura – The Brazilian company is building a new $65m facility to increase its lead battery production capacity by 40% and announced its enhanced flooded batteries have achieved significant cycle life testing results at the Akkuteam battery testing lab in Germany, where its AGM batteries will be tested later this year. Narada Power Source – In the continuation of an ALABC-sponsored project, Chinese member Narada was able to boost the number of successful power-assist cycles for their lead batteries in hybrid port cranes and elevators from 700 to over 26,000 showing that advanced VRLA batteries are an excellent power source for these emerging applications. In addition, a new three-year multi-million dollar pre-competitive research program announced by the Advanced Lead Acid Battery Consortium (more than 70 member companies worldwide) will focus on further improving lead battery performance in automotive and industrial energy storage applications. This is your final chance to take advantage of the early registration rate for the2016 Environmental, Health and Safety Conference, October 24-25 in Baltimore, MD. Take part in presentations and interactive breakout sessions focusing on workplace practices, human resource policies, equipment design, reducing employee blood levels and more! Register by Monday, September 12, and save up to $150. "Update on Blood Lead Health Science"
Book your room here, or contact the Sheraton Inner Harbor Hotel directly at +1.800.325.3535. Reservations should be made no later than September 30. Mention you are with the BCI Environmental, Health and Safety Conference to receive the group-discount rate.